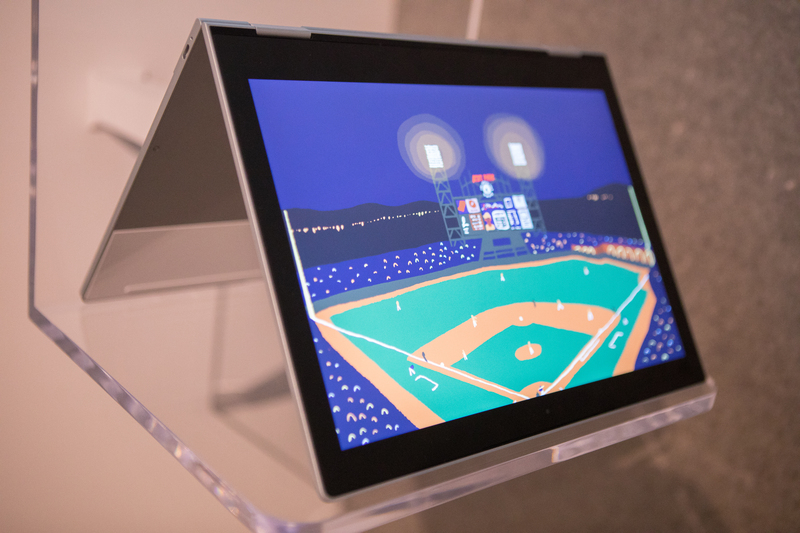 Google used its annual hardware event to announce the Pixelbook. 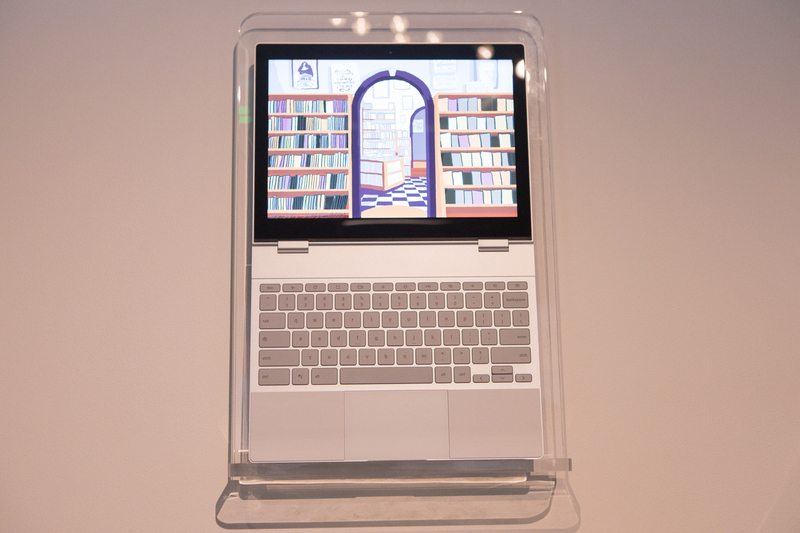 This is essentially the third iteration of the company’s Chromebook Pixel laptop, though with the Pixelbook, the company is taking a new approach. I’m not just talking about the fact that this is a very thin 2-in-1, though that’s obviously new, too. What’s different this time around is that the company actually believes it can make a laptop for the masses. When the first Pixel laptop launched, Chrome OS was still in its early days, couldn’t run Android Apps yet and at a minimum of $1,299, it was a luxury machine that probably had more users inside of Google than outside. In return, though, you got the best Chrome OS laptop. The second iteration, which launched in 2015, was just as good and dropped the price to a more palatable $999 for the basic version. Still, the 2015 Chromebook Pixel was very much a niche luxury device in a sea of $300 Chromebooks. Both of these early devices were basically reference designs that were ahead of their time. Now, with the Pixelbook, Google is once again pricing its laptop at $999, but times have changed and Google definitely isn’t looking at the Pixelbook as a reference design. This time, the company says it is aiming the Pixelbook at a wider audience and that it wants to get head-to-head with far more established laptop makers. Given that the Pixelbook can run Android apps, that’s not a completely delusional idea. Indeed, Google worked with Adobe and other software houses to make sure that applications like Lightroom work well on the Pixelbook. The laptop also features at least 128GB of storage space now. Early Chromebooks often had 16GB of drive space and that was perfectly okay, but Android apps take up space and a Google spokesperson specifically noted that it wants users to be able to save images and their Netflix downloads on the device. The message here is clear: Pixelbook isn’t just a shiny hardware vessel for Google Chrome — it wants to be taken seriously as a fully fledged laptop. And indeed, for most people, the Pixelbook is probably all they need. We will see how well that works in practice once we get our review units in. We got a bit of hands-on time with the Pixelbook at today’s event, though, and at first glance, it feels like a very solid device — though with the caveat that the screen felt a bit loose and wobbly, especially when used with the new Pixel Pen. This $100 accessory worked really well, though, and clearly shows that Google and its partner Wacom spent a lot of time optimizing both the hardware and software here. The differentiating feature for the Pixel Pen versus Apple’s and Microsoft’s styli is that the Pixel Pen can also trigger the Assistant. You can circle an image or mark up your text and the Assistant will give you relevant info. In my short time with it, the Pen didn’t always switch back from its Assistant mode to its regular drawing and icon-clicking mode, so there may be some bugs left to be ironed out there, but it’s a neat idea. For some reason, though, Google didn’t give the Pen a place to live inside or next to the laptop. There’s no magnet to hold it like on a Surface, for example. So you better buy two, because you’ll lose one sooner or later. Google says it did this because it wanted the device to be really thin; at 10 millimeters, it sure is (despite being thin, Google still promises about 10 hours of battery life). 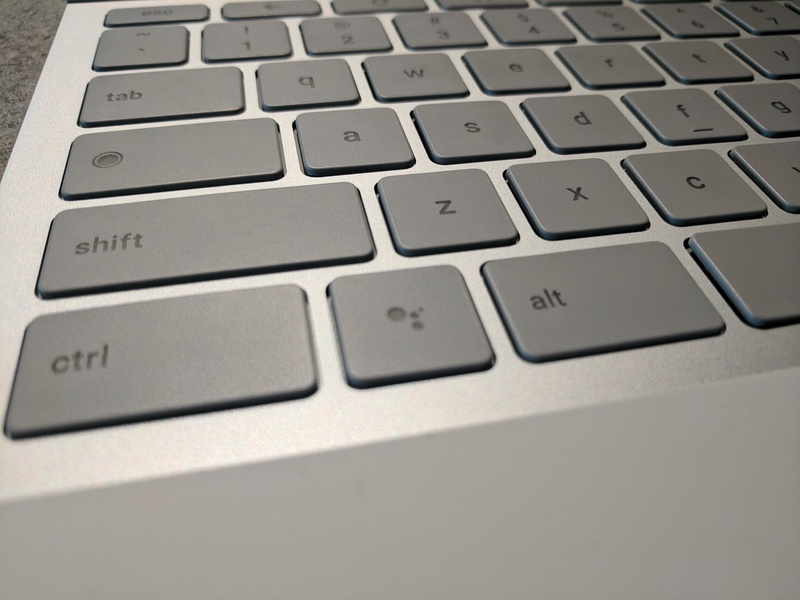 I always loved the original Pixel Chromebook’s keyboard and while I haven’t spent enough time with the new one, this new one also feels quite good, and every button press has a nice click to it, even though the key travel feels shorter. The touch pad is a bit smaller than I’d like, but feels very responsive. I could see myself using a Pixelbook as a daily driver outside of work, barring any weird quirks that only show up in a real test. Whether that’s true for a mainstream audience remains to be seen, but my guess is that given how well Chromebooks overall have been doing, there might just be a market for a high-end device like the Pixelbook. That’s definitely what Google is hoping for.